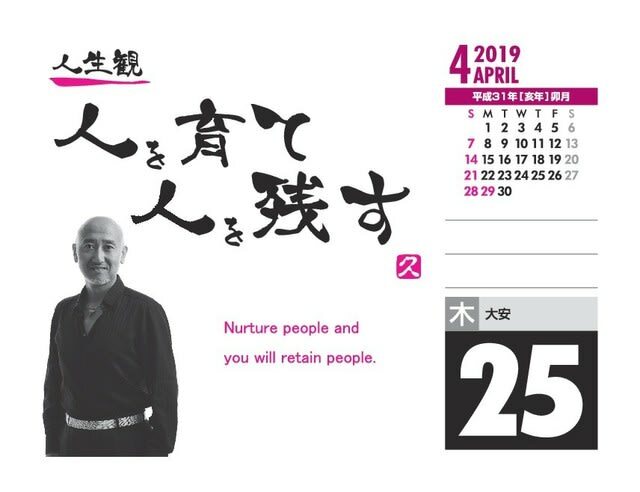 Nurture people and you will retain people. 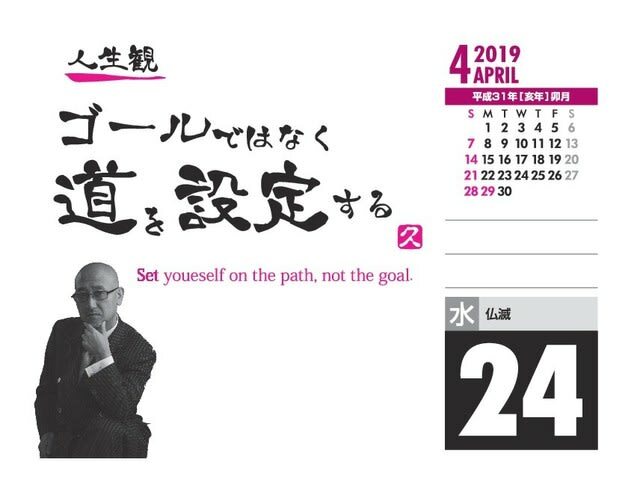 Set youeself on the path, not the goal. 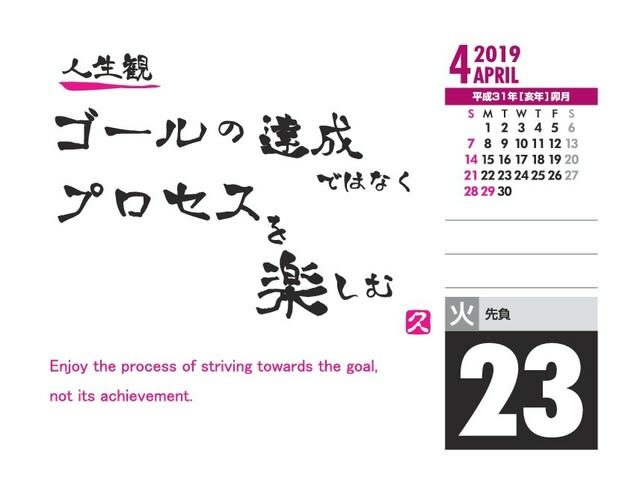 Enjoy the process of striving towards a the goal, not its achievement. 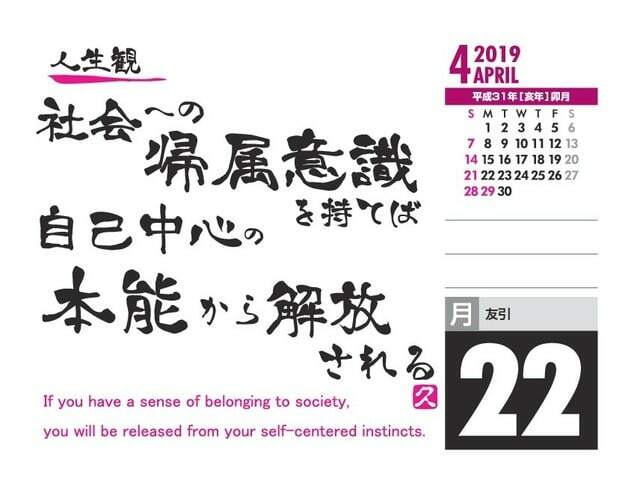 If you have a sense of belonging to society, you will be released from your self-centered instincts. 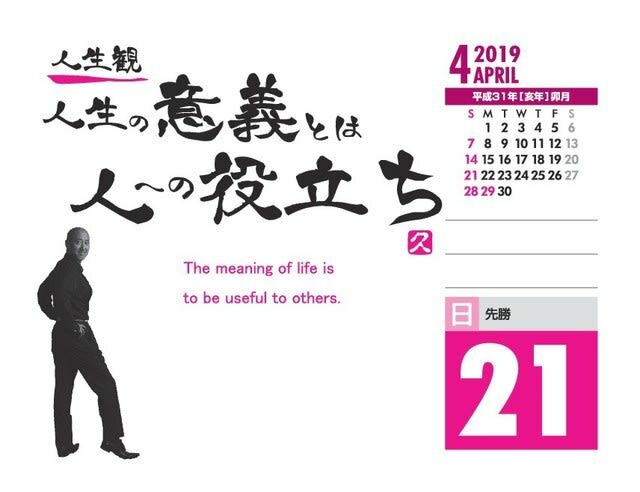 The meaning of life is to be useful to others. 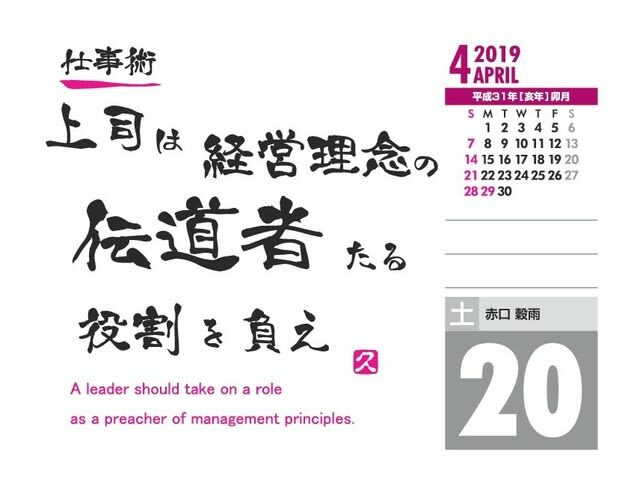 A leader should take on a role as a preacher of management principles. 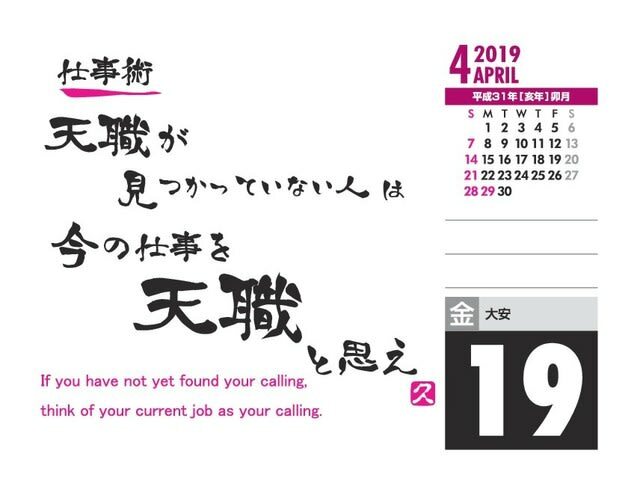 If you have not yet found your calling, think of your current job as your calling. 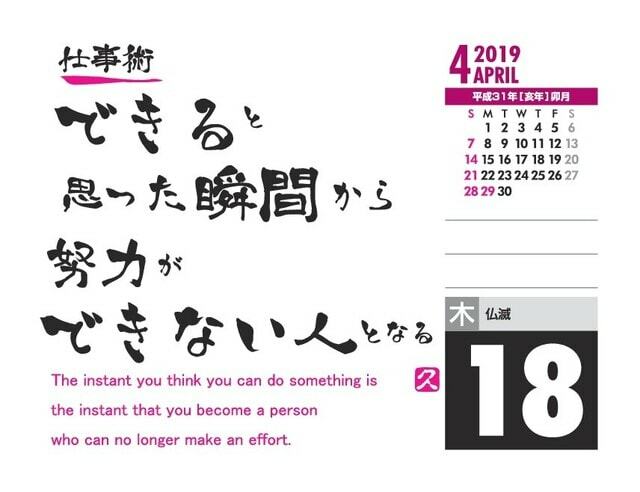 The instant you think you can do something is the instant that you become a person who can no longer make an effort. 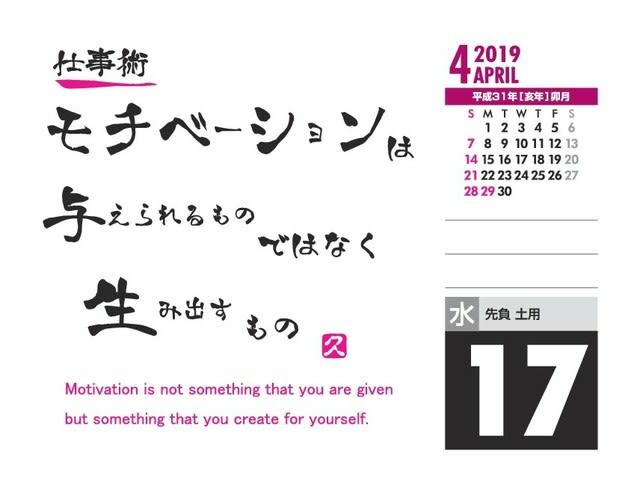 Motivation is not something that you are given but something that you create for yourself. 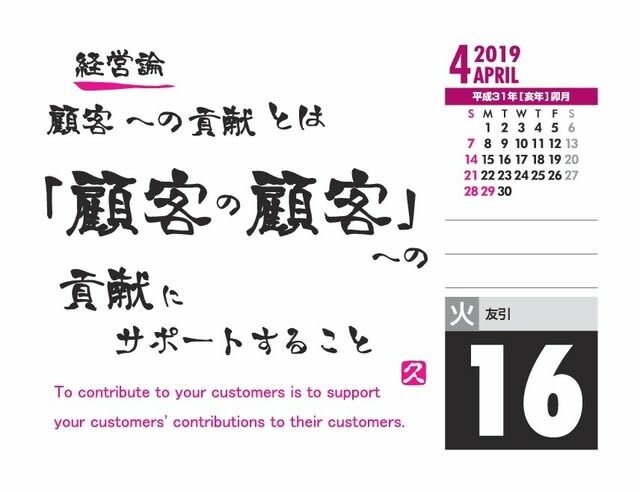 To contribute to your customers is to support your customers' contributions to their customers. Find out what your strengths are! 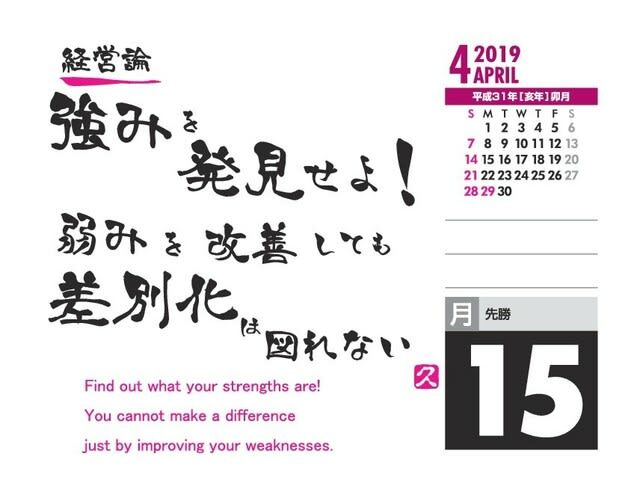 You cannot make a difference just by improving your weaknesses. 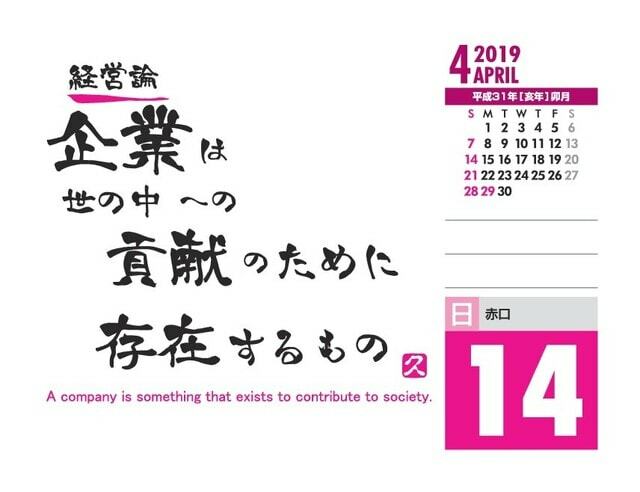 A company is something that exists to contribute to society. 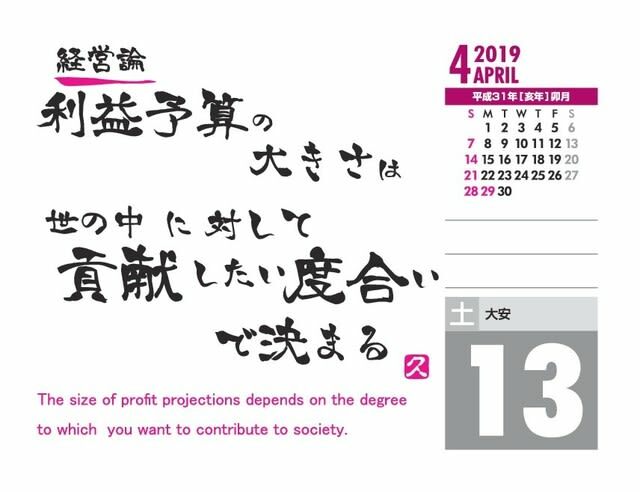 The size of profit projections depends on the degree to which you want to contribute to society. 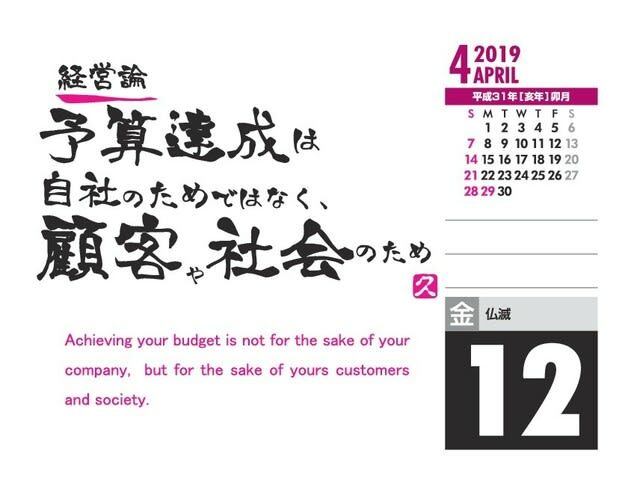 Achieving your budget is not for the sake of your company, but for the sake of yours customers and society. 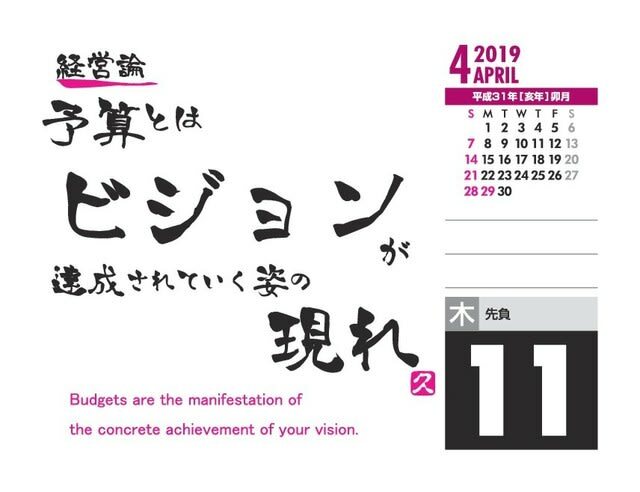 Budgets are the manifestation of the concrete achievement of your vision.